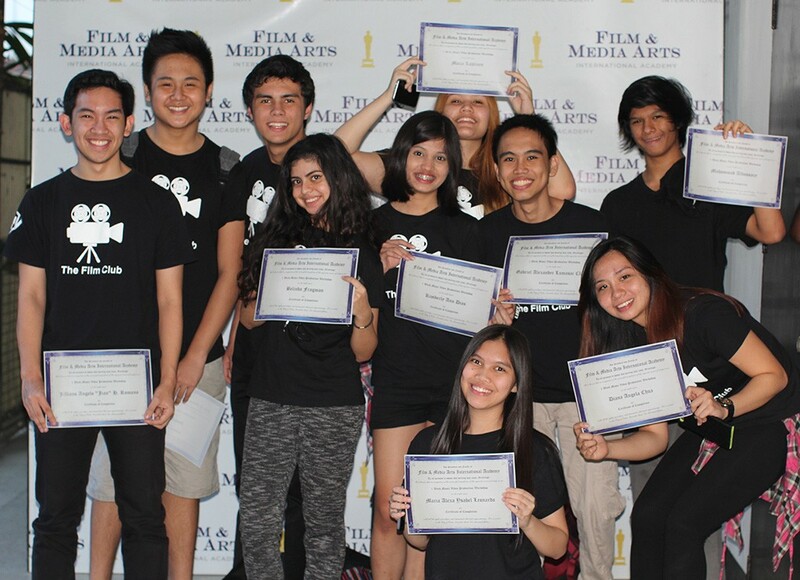 CEBU CITY, Philippines — Ten members of The Film Club of Southville International School and Colleges Manila graduates from Film & Media Arts International Academy (FMA) intensive 9-day filmmaking workshop by achieving the ambitious goal of producing a full 4-minute music video. “It was a very hectic schedule. From lectures to hands-on training, we dove straight into a 3-day shoot,” says Jian Romano who directed the music video. They were focused on achieving the daunting task of producing a full music video of Childish Gambino’s “Sober.” Bill Ivarsoy and Bella Fragman played the main characters, with Diana Chua from the College of St. Benilde and her brother Joshua, Kimberly Dias, and Gab Claudio in supporting roles. Working behind the camera were Mu Aldossary, Alexa Leonardo, and Maija Lahtinen. The Film Club president Jian Romano was in full control and brought out the best in everyone. Screen grab from the 4-minute music video with Bill Ivarsoy and Bella Fragman as the main characters.